Orchard Press has always been a specialist in Lithographic Printing and the majority of our work as commercial printers is produced this way. This is why we have invested in a B1 10 colour press and the very latest software to offer state-of-the-art high volume print with superior quality as our top priority. Litho is the most economical process for long runs and our experienced print knowledge can see your project through with the best formats to save you money and make the process a smooth and hassle-free experience. We specialise in high definition print at 250lpi on all coated stock – most printers are 175lpi. We do not charge extra for this specialist service and you will notice how images stand out, tints are smoother and the whole effect is ‘outstanding’ when compared with anything else. The maximum size we are capable of printing is 1050 x 740mm with a running speed of 15,000 sheets per hour. As litho printers based in the UK we can handle multiple and complex jobs cost-effectively and in the fastest time possible. We have an integrated workflow for consistently high, reproducible quality. Our 10 colour has inpress control which scans the sheets in production and keeps colour consistent and to a set ISO target, meaning virtually no waste of paper and ink. 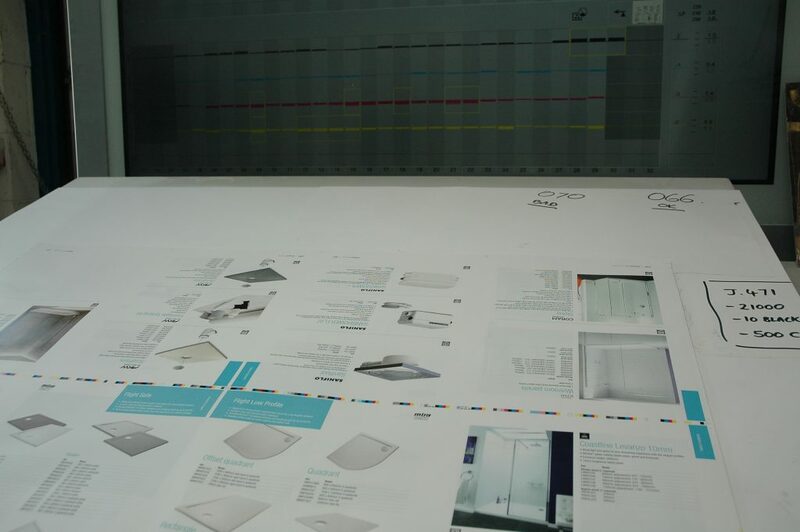 With nearly 30 years of print experience, Orchard Press use specialist techniques and knowledge using many stocks of paper from 45gsm to 600gsm and specialist colours up to 7 different inks including spot and metallics. Of course, if you are unsure of what would suit your project we are more than happy to advise you and provide free samples. If you are looking to take your print to the next and ultimate level, we have launched Orchard Rainbow. This is an exciting and new bespoke service using 7 colours to create a real impact that is sure to get you noticed. Please call for a brochure 01684 850960 or read more about this extra and exclusive to us service.